Here’s a picture of me all guilt wracked. (Also for the record that fask mask was amazing beyond reckoning….brazened honey. Thank you, Lush, even if you are hideously expensive). You have become the Hulk!!!! 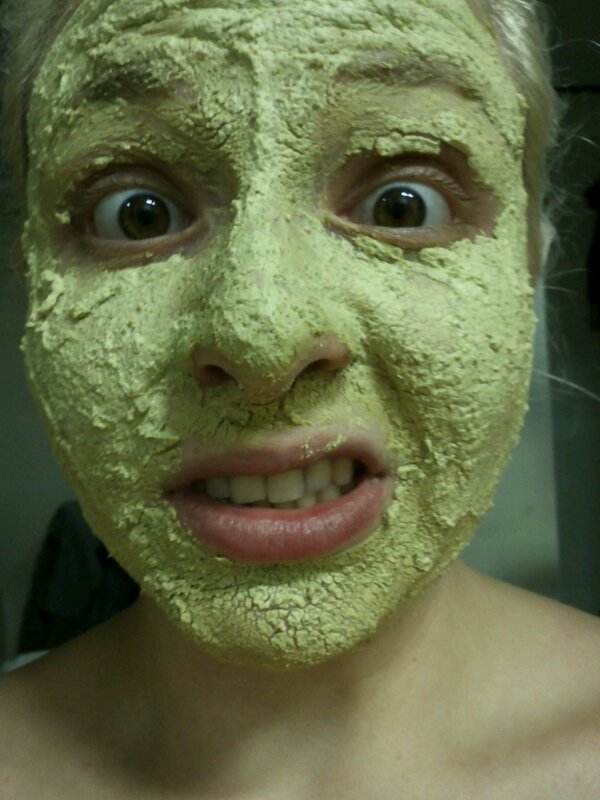 Looks like avocado and cornmeal cement dried on your face. I used to make a homemade mask out of cornmeal, a little milk powder mixed together with hydrogen peroxide. It was a good cleansing and nourishing inexpensive mask. Must make it part of my routine again. Thanks for the reminder. Did you get your beanbag chair? I did! I put up a photo a post or two down. I love it to bits. And yay for face masks! Wait…I thought this meant you just lounged about on your chair. Is it possible you actually WERE socialising with the guy you got the chair from (and his friends)? Well how neat is that!? Were they nice enough that you’ll hang out again?